This WordPress theme works perfectly with any beauty centers you may want to transfer to the online sphere. This ready-made solution will help you start your online business and stand out from your competitors. 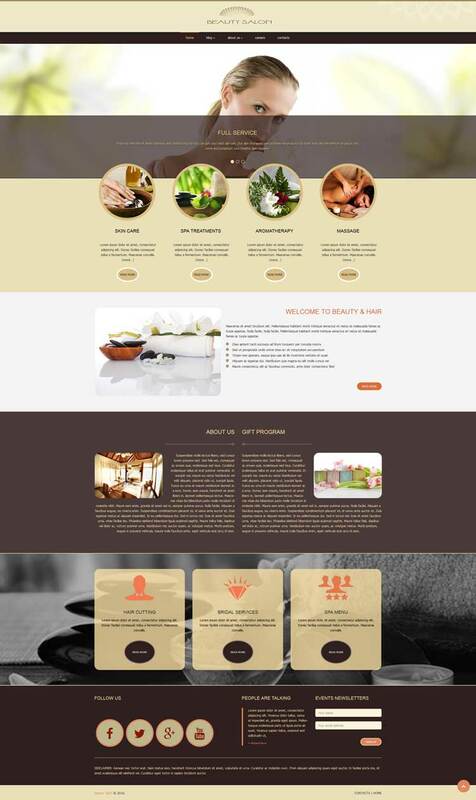 The first thing your visitors will pay attention to is the clean and clear style of this theme that is created in soft and delicate colors. This color scheme perfectly fits the relaxing mood of the project that deals with spa industry. The full size background image on the home page, jQuery slideshow on all pages with random background images and the thought-out arrangement of the content blocks will help you put the necessary accents on the certain parts of your project. Widget Options, like social networks, share networks and more.